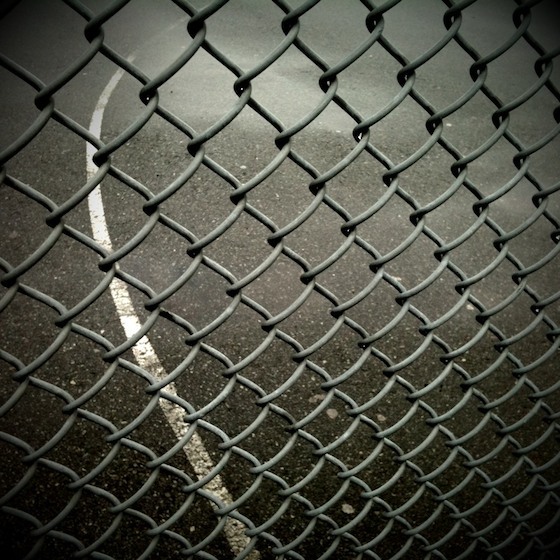 The Grays Park basketball court, through the enclosing fence. iPhone photo, through CameraBag app. 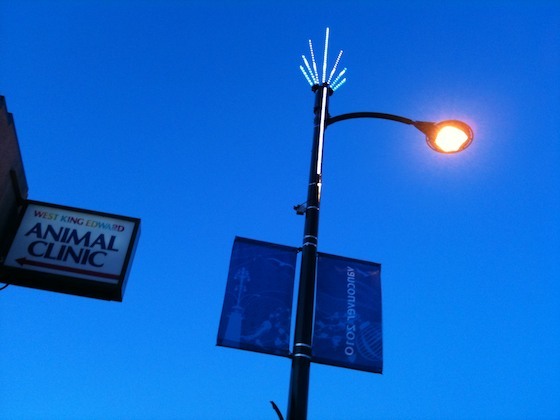 Flame-like lights top Cambie Street streetlights as Vancouver dresses up for the Olympics. iPhone photo. These pics makes me wonder about the intention of the person.